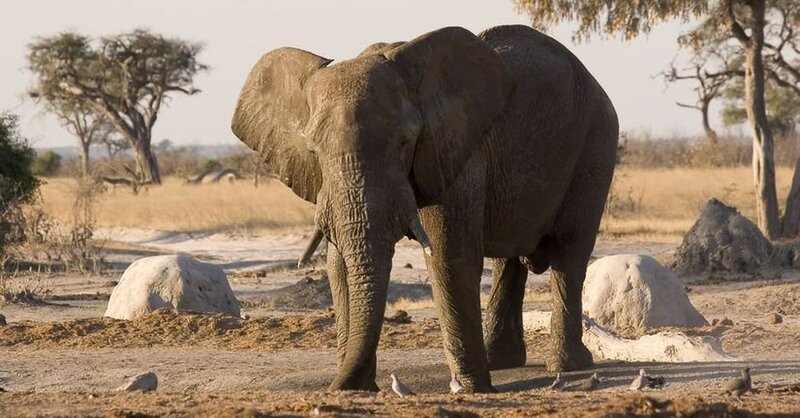 Chobe National Park is the second largest and oldest nature reserve in Botswana boasting a total size of 11700 square km, it lies in the northern part of Botswana. 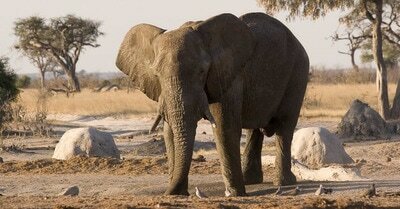 Chobe is divided into four sections Serondalla, Linyanti, Nogatsaa and Savuti. The park is not fenced as a result the animal population is spread over a much larger area than just the park itself. 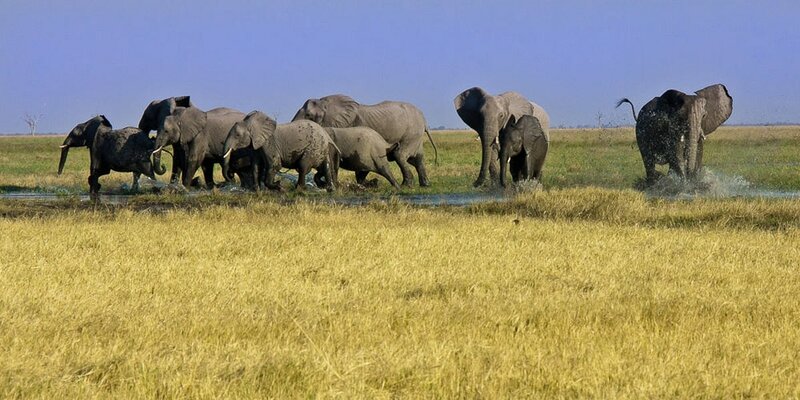 Chobe National Park is rich in wildlife; it is most famous for its large elephant population, which is the largest in the world with around 80.000 recorded. Four members of the Big-5 can be found in the area, with the only one not present being the rhino. 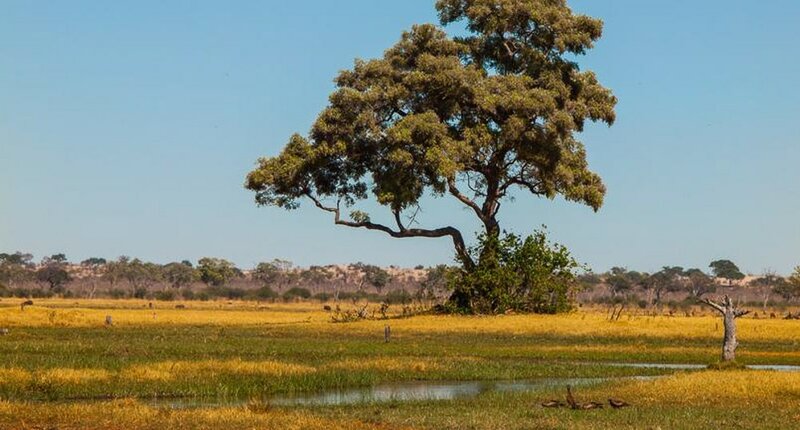 In the heart of Botswana’s Chobe National Park lies a dynamic wilderness, a sweeping expanse of savannah brooded over by several rocky outcrops, which guard a relic marsh and the dry channel that was once its lifeline. This is Savuti, where mysterious wet and dry cycles mould the landscape and dictate the nature of its wild inhabitants. 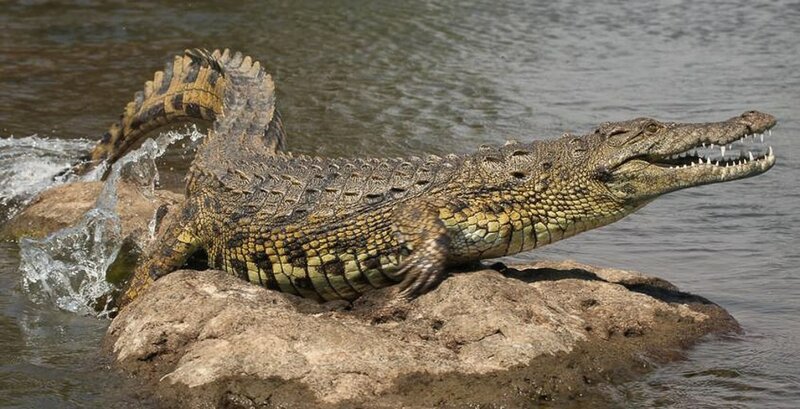 Currently it is dry, and wild dogs hunt in the channel where crocodiles swam only twenty years ago. The Gubatsa Hills shelter leopard and klipspringer and rock paintings of early man’s wildlife sightings. 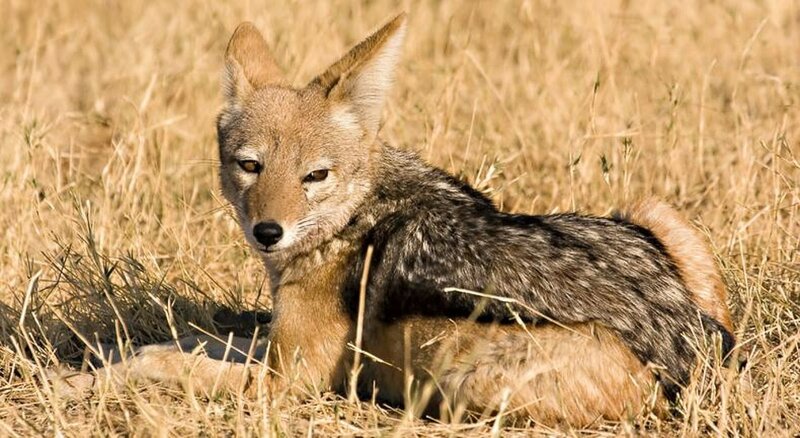 During the arid winter months game viewing concentrates on Savute’s resident bull elephants, antelope and lion prides, and black-backed jackal, bat-eared foxes, tsessebe, and kudu, abound. Camp Savuti has become famous for its exceptional game viewing opportunities, in particular it is famed for lions that prey and hunt on elephants, which are found in abundance in the area. 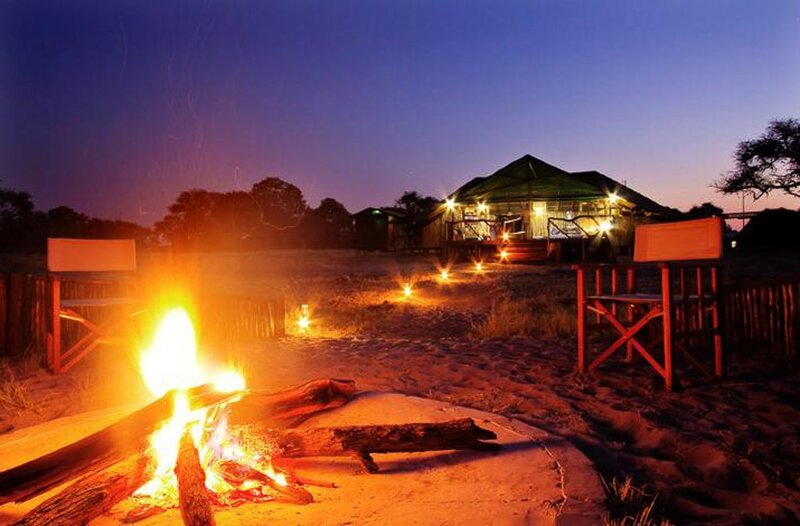 Camp Savuti overlooks the dense Savuti marsh area and all 5 of the Meru-style tented rooms have elevated balconies taking advantage of these views. The large, spacious tents are located in such a way that they enjoy privacy and exclusivity. For the adventurous, there are outdoor showers where you can cleanse while enjoy the tranquillity of the African bush. Guests can enjoy a range of activities from game drives through the Chobe National Park and exploring the fringes of the channel and the marsh. The area is diverse and guests will delight in the superb game viewing on offer. 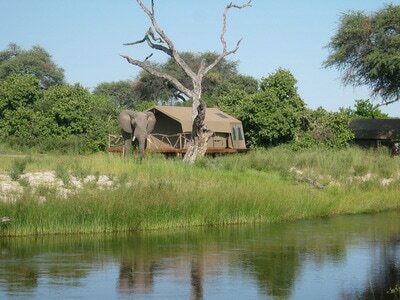 From photography to bird watching and predator sightings, Camp Savuti is the authentic safari gem of the Chobe region. Children of all ages are welcome at Camp Savuti. The Ghoha Hills Savuti Lodge is a 4-star luxurious accommodation that fully runs on solar power and is environmentally conscious. The lodge blends into the natural environment whilst maintaining the integrity of the pristine natural bush and prides itself on being eco-sensitive to the environment. 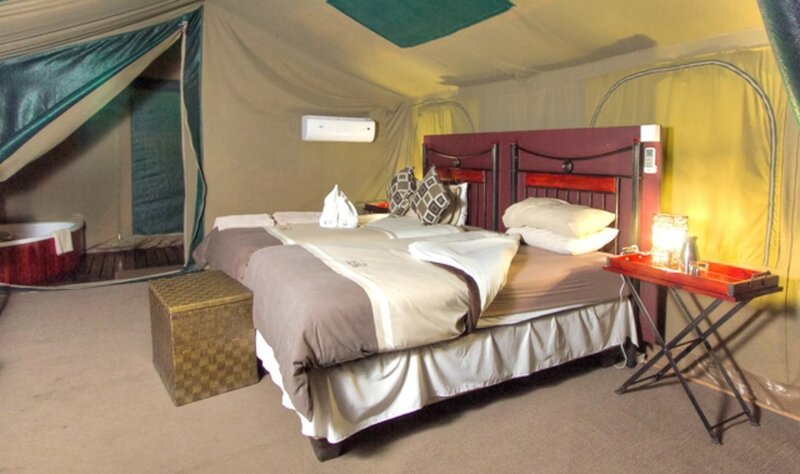 Besides the luxury tented rooms, there are also family tents available with vires over the surrounding Ghoha Plains and waterhole. 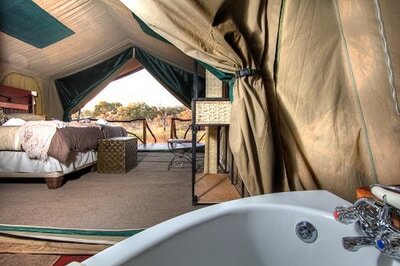 All accommodation includes a private viewing deck and an en-suite bathroom with a shower with a view. The lodge boasts a main area comprising of dining, bar, lounge and a traditional fire Boma and also a rock pool. People describe Ghoha Hills as a paradise on earth: on arrival you have the option to go on a sunset safari, the next day you and your professional guide will look for different kinds of wildlife and in the evening you can enjoy an African-inspired dinner, while overlooking the beautiful surroundings. All meals, drinks and activities are included. Children over the age of five are welcome at Ghoha Hills Savuti Lodge.